Cahans shared in many aspects of social, political and religious movements in Irish life over 250 years. Reference has been made to the experiences of emigration and famine. John Rogers and members of the congregation were active in the volunteer movement c 1778 and attended the 1782 Volunteer Convention at Dungannon. When the linen industry was at its height in the Ballybay area many Cahans families supplemented their income from small, subsistent farms by growing flax, weaving and doing other jobs which were part of the home linen industry. In contrast was James Brown who for many years served Cahans as an elder. He travelled with his wife and nine children every Sunday to worship at Cahans from a mile beyond Rockcorry. A progressive farmer and businessman from Banbridge, Co Down he helped develop the linen business in the Rockcorry area. He found marl on his land, used and sold it, and later filled the marl holes with water and stocked them with fish at a time when fresh fish were not available inland. 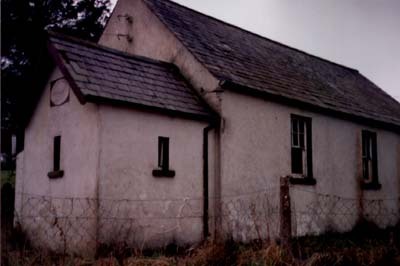 The movement of the Holy Spirit in Ulster, the 1859 Revival, also enriched the spiritual life of Cahans as it did the wider Ballybay, especially Presbyterian, community. Six prayer meetings were formed, 26 new communicants were reported in 1860, along with other evidence of a deepening of spiritual life and of people, young and older, coming to faith, their lives changed for the better. It had a lasting effect. The temperance movement developed in both Catholic and Protestant traditions with long-lasting results, and again in Cahans ministers and members were active supporters taking seriously their pledge to abstain from alcohol. On 4 July 1869 sixty seven members made this promise and meetings were held regularly to promote the cause. Later John T Montgomery was an active advocate through the Catch My Pal Society and the Band of Hope. Quality education has always been a priority for Presbyterians and it has been noted that wherever they settled they soon provided a meeting house for the worship of God, then a school. An educated ministry is required, and a high value is put on the education, including the religious education of children. Countess Clermont in 1819 founded and paid for a school at Urcher, near Cahans. Under Church of Ireland management at first, in 1850 Lord Rossmore, the Patron, requested that Matthew McAuley should take responsibility for its management, so Urcher National School became connected with Cahans congregation, a link which was retained until the school amalgamated in Ballybay Central School in 1987. John White was another long serving Cahans elder. He objected strongly when changes to the method of celebrating the Sacrament of the Lord’s Supper were proposed. That was in 1912. Generations of Presbyterians had sat at long, narrow tables set up in the aisles to receive the bread and wine, and congregations were changing to receive the Sacrament seated in the pews. This matter was again raised in 1915 when the minister and elders were unanimous apart from John White that the change should be made. He said he still preferred the old way but since all the others were agreed he would no longer oppose it. It was a fine example of holding to a principle, yet knowing when and how to accept the will of the majority, to disagree and not to fall out, and the minister and other elders had shown patience, waiting until the time was right for him. From the records of the congregation come examples of concern and provision for the poor, not least among their own number, exercised with compassion and sensitivity over a good many years in times when social security was unknown. 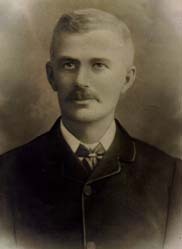 Another whose story is significant was Samuel Oliver. When ill health forced him to resign in 1917 shortly before his death aged 74 he had served Cahans for 49 years and 3 months as precentor, praise leader. He walked from his Ardaghy home some 5 miles there and back every Sunday and only was absent on 7 occasions. The congregation gave him a purse of sovereigns and a pension which this most faithful servant of the congregation did not live long enough to enjoy. He had been a Sunday School teacher for an even longer time. His leading of the singing was an inspiration to all who worshipped in Cahans during his era. Among Cahans most distinguished members was Hope M Waddell. Nurtured in faith in a Cahans family he heard God call him from his apprenticeship in business in Dublin to study for the ministry in preparation for missionary work. 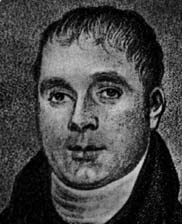 He was the first overseas missionary from the Irish Presbyterian church, and has been acknowledged as such by the distinguished historian of Christian missions, Bishop Stephen Neill. 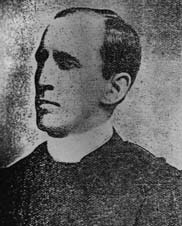 He was ordained by the Scottish Secession Synod for service with the Scottish Missionary Society, then the missionary society for Presbyterians in Britain and Ireland. After work of great devotion in Jamaica always assisted by his wife, the church there sent him to lead in pioneer missionary work at Calabar in west Africa. 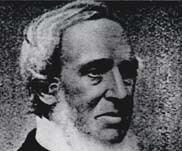 Again God greatly blessed his work as he served there from 1846 to 1858 when he returned to live in Dublin. He was one of the founders of Scots Presbyterian Church in Dublin and served there as an elder and leading figure for the remainder of his life. He was one of the outstanding figures in the history of the Christian church, endured great hardships and risks, gave outstanding service and lived to 91 years of age. His detailed published account of his 29 years as a missionary contains valuable material on life in Jamaican and west African society as well as on his missionary work and family life. It shows his deep antagonism to slavery and its dire effects on enslaved people. 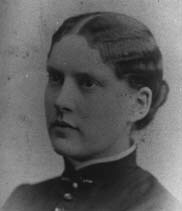 Sarah Bell was another who, from the membership of Cahans went on to missionary service. Aged 18 she emigrated to America in 1880 where she trained as a teacher before going to work in Angola with the Congregational Church. There she met and married Dr William H Sanders, a missionary minister. Together they did valuable work which included writing down the language of the people, translating parts of the Bible and printing it and textbooks. In all she served in total for 42 years and was 96 at her death. David Nelson distinguished himself by his army service. Another whose early life was in membership of Cahans where he was baptized, he was taught in Sunday School by Samuel Oliver and professed Christian faith as a communicant. In Cahans he learned the habit of regular church attendance which he kept up during his years in the army. Eager to be a soldier like many of his generation he joined up in 1908, gained rapid promotion, was highly regarded as a soldier and gained the Victoria Cross (illustration) for gallantry in 1914 ‘for helping to bring the guns into action under heavy fire at Nery on the 1st September, and while severely wounded remaining with them until all the ammunition was expended, although he had been ordered to retire to cover’. Slowly he recovered from his serious injuries, married and returned to Monaghan where he was treated as a hero and given a ceremonial sword in recognition of his bravery and of the distinction he brought to his home community. 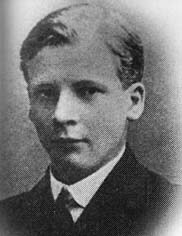 In 1918 he went back to France on reconnaissance and was killed when a shell hit the mess. Jack Sloan from the Swann’s Cross Sloan family, studied and was ordained a minister in 1948. 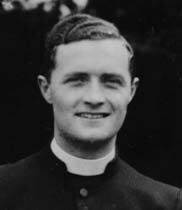 His dedicated ministry was in Raloo congregation, near Larne, Co Antrim until his death in 1979. A warm and caring pastor, his congregation responded well to his gracious ways. He kept in touch with his home congregation and community where he was greatly loved and respected. Many other men and women served the congregation faithfully and well as elders, members of committee, Sunday School teachers, precentors and organists, sextons (caretakers) and in other ways and passed on a rich legacy of Christian faith and witness which the Cahans Project Committee believe should be preserved and used to enrich the life and faith of future generations in the Ballybay community and wherever this story is told.